Former Stereophonics drummer Stuart Cable choked to death on his own vomit after a three-day drinking session, an inquest heard. The 40-year-old had been drinking vodka and whisky, police told the coroner. He was found dead on his kitchen floor in Llwydcoed near Aberdare, Rhondda Cynon Taf by his girlfriend. An accidental death verdict was recorded. His family said they were struggling to come to terms with a "huge loss". Cable, who was found dead on 7 June this year, left the Stereophonics in 2003 and was in a new band Killing for Company at the time of his death. He also had a weekly rock show on BBC Radio Wales and previously had a TV chat show. The inquest at Aberdare heard the musician went out with his ex-wife Nicola and young son to a rugby club where he began his drinking session on Friday 4 June. Det Sgt Richey Jones told the inquest: "Nicola later informed his girlfriend Rachel [Jones] that Stuart had been drinking large amounts of vodka during the evening and hadn't eaten properly." Cable then hosted his radio show at the BBC in Cardiff on the Saturday evening and left at 2000 BST and returned to his local pub, the Welsh Harp. The inquest heard Cable and his friend Simon Collier returned to the house that night and continued drinking until 0500 BST on the Sunday. Cable woke in the afternoon and returned to the pub where he and Mr Collier continued drinking. The inquest heard that at 2300 BST he told Rachel he was getting a taxi home and asked her to order a Chinese takeaway to the pub, before returning home with Mr Collier. Det Sgt Jones told the hearing: "Stuart was extremely drunk but got a bottle of vodka out of the fridge and continued drinking it neat. "He also drank Jack Daniels. He fell asleep on the sofa and Rachel later went to wake him by tapping his head and lifting his eyes." But her efforts to wake Cable failed and she went to bed without him. The inquest heard she went back down at 0530 BST and found Stuart collapsed on the floor. Det Sgt Jones said: "She knew instantly that something was wrong because he was in the same position she left him. She checked his airways and noticed there was vomit." Miss Jones screamed at his friend: "He's not breathing. There is something wrong." She ran into the street to flag down the first car which happened to be driven by Stuart's cousin Aaron Cable. He tried to revive Cable before paramedics arrived but there was nothing they could do. Det Sgt Jones said: "Stuart was an extremely well-liked man. In addition to being universally liked as a person, his musical talent and accompanying fame meant he had a large fan base and he was easily recognisable. 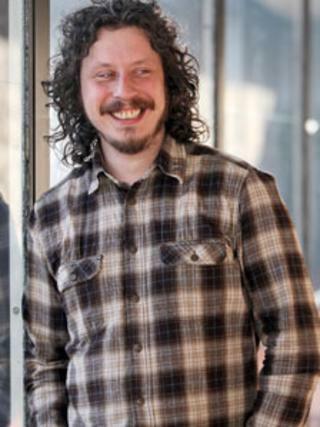 "It is no exaggeration to say Stuart Cable is one of the most famous people in Aberdare and local people are extremely proud of him." Pathologist David Stock found Stuart had 407 microgrammes of alcohol in 100millilitres of blood. The legal limit for driving is 80. Dr Stock gave the cause of death that Stuart choked on his own vomit caused by acute alcohol poisoning. Glamorgan Valleys coroner Peter Maddox recorded a verdict of accidental death. A family spokesman later said: "It's a very difficult time for the family who are still struggling to come to terms with our huge loss. "We can't put into words how much Stuart meant to us." Cable formed Stereophonics in the south Wales valleys' village of Cwmaman in 1992 with friends Kelly Jones and Richard Jones.